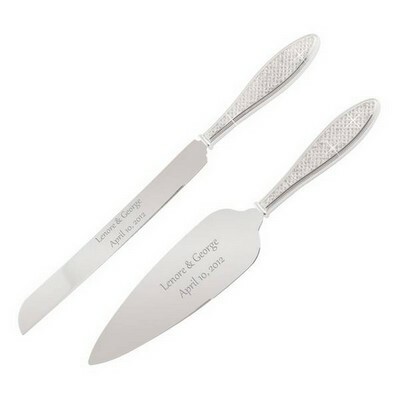 Take cake serving from bland to grand with our personalized wedding cake serving sets. 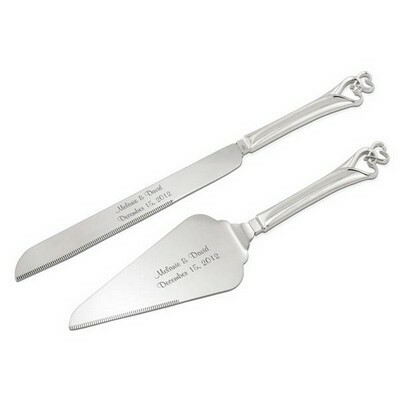 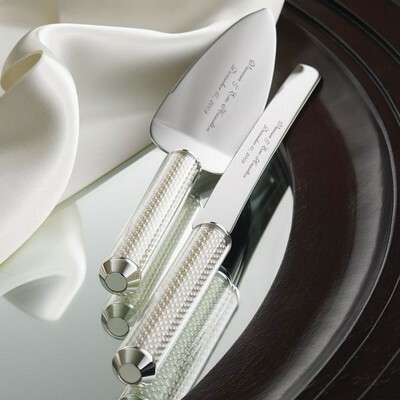 Laser engraved with the names and wedding date of the bride and groom, our elegant stainless-steel and crystal detailed cake serving sets include a knife and cake server to help turn the cake cutting ceremony into a very special moment that has a personal touch. 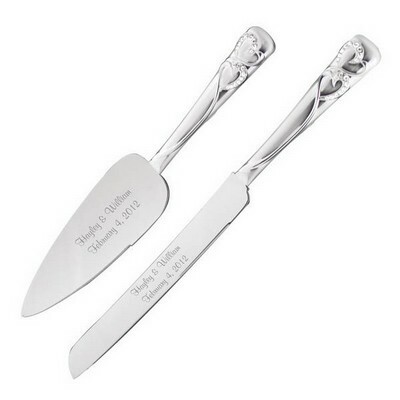 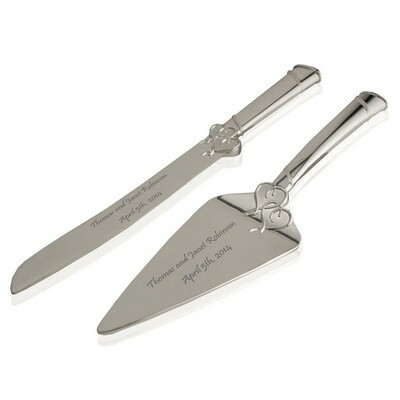 Gift an engraved wedding cake server set to the soon-to-be-married couple for an unforgettable gift that will be cherished for time to come.